… You have to learn to swim. 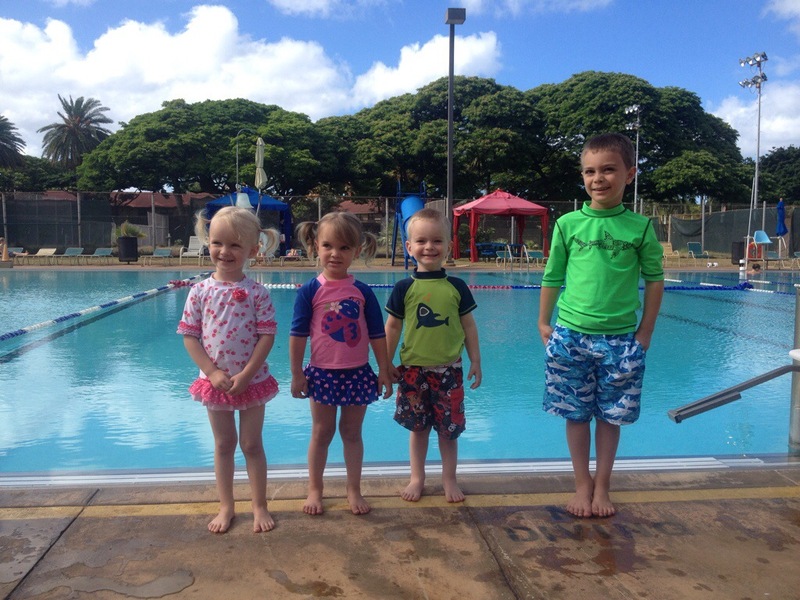 After our first session of swim class we finally have 4 kids who are excited for it (at least at the start of class!). All still “level 1” but they completed more than half of the skills. Val has surpassed the others and even tries to use her arms to swim. Aiden will finally bob voluntarily (read: without the instructor dunking him) and tries to swim, which is a HUGE improvement over last year. I’m hoping maybe one more session and he’ll move to level 2. Jacen and Jaina are really enjoying floating and being pulled through the water (as long as their head doesn’t have to get wet). Overall I’m really impressed and excited for session two! Next > What happens when toddlers dress themselves.